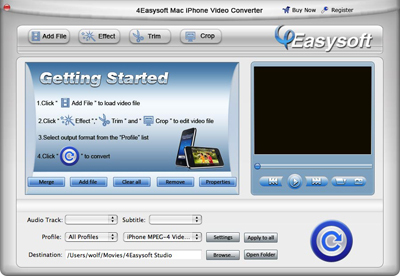 4Easysoft Mac iPhone Video Converter provides powerful functions to edit your video files. This iPhone video converter Mac lets you trim video length, crop video area, set video brightness, contrast, and saturation, preview input and output video at the same time, capture favorite images and customize video/audio output settings. 1. Download the program installation file Mac iPhone Video Converter.dmg. 2. Double click the downloaded .dmg file. 3. You will see a popped up window with a Mac iPhone Video Converter icon in it. 4. Drag the icon to your desktop. 5. Double click the icon on your desktop and the program will be launched. 1. Click the Add File button to browse your computer and add video files to the program. 2. Edit your video files by trimming video length, cropping video and adjusting video effects. 3. Set output format, video/audio encoding settings and output folder for the added video files. 4. Click the Start button to start conversion. This best Mac iPhone video converter contains the function to convert MPG, MPEG, MPEG2, VOB, MP4, M4V, RM, RMVB, WMV, ASF, MKV, TS, MPV, 3GP,3G2, FLV, MPV, MOD, TOD, AVI, HD TS, HD MTS, HD M2TS, HD MPG, etc, to iPhone MP4, MOV, H.264(.mp4) on Mac. 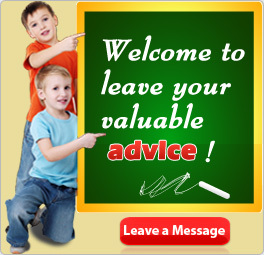 Convert audio formats of MP3, MP2, AAC, AC3, WAV, WMA, M4A, RM, RAM, OGG, AU, AIF, AIFF, APE, FLAC, NUT to iPhone AAC, MP3, WAV, AIFF, M4A. The supported devices include iPod, iPod touch, iPod touch 2, iPod nano, iPod nano 4, iPod classic iPhone, iPhone 3G, Apple TV. Click “Effect” to adjust the output video effect: Brightness, Contrast, Saturation and Volume. “Deinterlacing” is for the interlaced video to convert it to progressive one to avoid mosaic. You can adjust output Video Encoder, Resolution, Frame Rate, Video Bitrate, Audio Encoder, Sample Rate, Channels, Audio Bitrate. For Resolution, you can input your own parameters if the pre-set can not meet your needs. For the well-customized profile, save as the “User-Defined” profile for your later direct use. While you edit the video, the effect of both the source file and converted will shown in the video edit window simultaneously. 4Easysoft DVD to Video Converter brings you to convert DVD to AVI, MP4, WMV, MOV, M4V, FLV, SWF, 3GP, and HD H.264, HD AVI, HD MPG, HD TS, HD WMV, HD MPEG 4, HD MOV, HD ASF, and more. This DVD to Video Converter also available to convert DVD to your portable players like iPod, iPhone, PSP, Zune, Creative Zen, Xbox, Wii. in great compatibility. 4Easysoft Mac Video Converter can convert all sorts of videos, including General Videos (FLV, WMV. SWF, MP4, RM, RMVB, AVI, 3GP, etc. ) and HD videos (TOD, MOD, M2TS, MTS, TS, MP4, MOV, RM.) to diverse players of iPod, iPhone, iPhone OS 3.0, PSP, Zune, Creative Zen, Wii, even Gphone and other popular mobile phones.It also can extract audio from your videos to MP3, MP2, AAC, OGG, WMA, FLAC and more. Copyright © 4Easysoft Studio. All Rights Reserved.